Blonde Problems: Holiday Season Adult Bevs, Right This Way! Holiday Season Adult Bevs, Right This Way! Forget hot cocoa and cookies! We all know the star of any holiday party is a seasonally-appropriate adult beverage. Fire up Yule Log, summon a Postmate, and settle in with some of these holiday favorites! 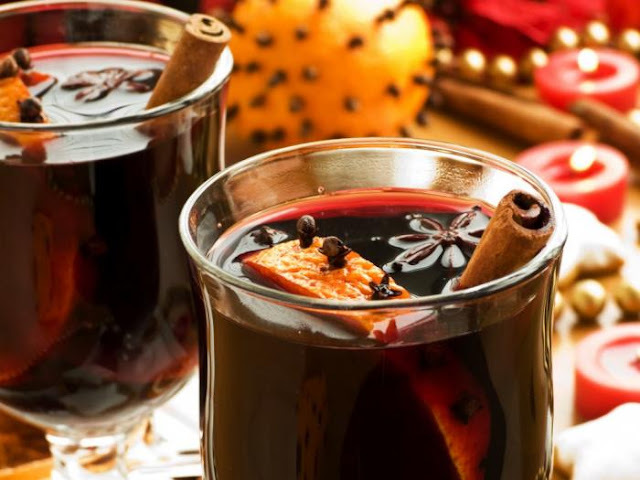 Glögg is a Swedish alcoholic beverage that I always enjoy around Christmastime with my family. Glögg is pronounced just like "glug," which is really convenient because now you can just yell glug, glug, glug over and over again while getting inappropriately wasted at your next family dinner. There are a bazillion variations on this favorite, and in my non-scientific estimation, most will be good. Here's a great recipe to start with and you can tweak to fit your needs. 1. Combine wines in a large saucepan. Using a vegetable peeler, remove the zest of citrus fruits. Squeeze fruits and add juice to wine. Tie up lemon peel, orange peel and spices in cheesecloth and add to wine. Add raisins, almonds and sugar. 2. Bring wine mixture to a boil. Reduce heat and gently simmer for 15 minutes, or until flavors are well blended and almonds are soft. Skim wine from time to time to remove any foam. Taste glogg and add sugar as necessary. 3. Just before serving, add bitters and aquavit or vodka. Ladle glogg into mugs or cups and provide each guest a spoon for eating the raisins and almonds. I recently made this when my friend came over for a fun Holiday-themed Girls' Night. I highly recommend this recipe to anyone looking to lowkey booze it up. Okay, if you haven't heard of this one, I don't know what to tell you. You're beyond help. For real though, I love Egg Nog so much that my dad and I used to joke we wished water fountains dispensed Egg Nog instead of water.... in practicality that would be a really gross mess, but it's a nice thought. A kid can dream. 1. 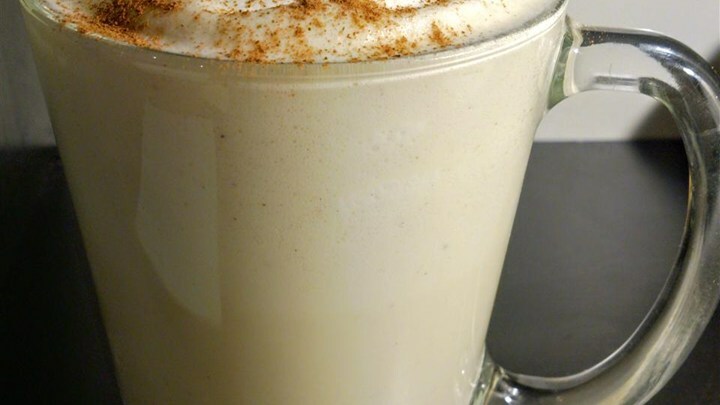 Combine milk, cloves, 1/2 teaspoon vanilla, and cinnamon in a saucepan, and heat over lowest setting for 5 minutes. Slowly bring milk mixture to a boil. If you're in the market for a non-alcoholic version, I recommend Kalona Super Natural Organic Eggnog. Share some of your favorite recipes in the comments!! Making a Wish List, Checkin' it Twice!